This post was inspired by my neighbor, a proud student of Lewis C. Greenlee Elementary School. His school spirit was evident, but knowledge of it’s namesake was not part of the equation. For those of us interested in in our neighborhood history, it seemed to be a question worth answering: Who was Lewis C. Greenlee, and why is our elementary school named after him? The short answer: He served the people of Denver, first as an esteemed educator and administrator, then through the elected offices of City and County Treasurer and Property Commissioner. When the school was erected in 1952, Mr. Greenlee was evidently still remembered and honored for his service. Lewis Campbell Greenlee came to Denver in 1888 with over fifteen years experience in education already. He was born, raised, and trained in Pennsylvania, but was called west, first to Iowa and then Nebraska before making his way here. His timing was fortuitous for West Denver’s students. His first assignment was as principal of the Elmwood School, located at 750 Galapago (before it was demolished to build Del Pueblo in 1974). 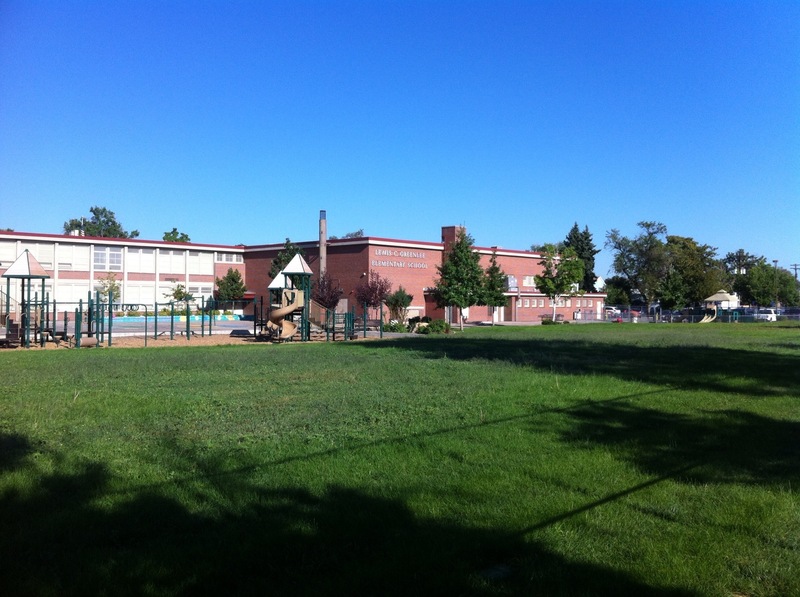 Three years later, he was the Superintendent of District 2, which encompassed 13 schools in West Denver, including the Central School which once stood on Kalamath between 11th and 12th, and the Franklin School on Colfax between Lipan and Mariposa. After the Rush Amendment passed in 1902, and Denver broke from Arapahoe County, the districts consolidated into one system. 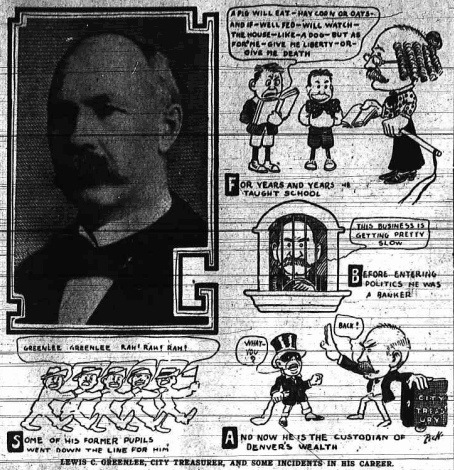 Greenlee served as co-assistant superintendent from 1903 until the next year, when his predecessor, former District 1 head, Aaron Gove resigned. He served as Superintendent for another 15 years. He was a charter member and one-time President of the Colorado Schoolmasters’ Club, served for a year as head of the Colorado Education Association, and also was treasurer of the National Educational Association. In 1908, he was elected to City and County Treasurer and served for four years. He had a successful stint in business, too, as a founder and VP of Interstate Trust Company. After all that, he was elected to head the Property Commission in 1915. He died in 1926 after a long illness, and was buried in Fairmount Cemetery.